AFC Wimbledon have been deducted three points by the Football League after fielding an ineligible player in their 4-3 win over Cheltenham last month. Midfielder Jake Nicholson, 21, joined them in February after leaving Morton. He scored against Cheltenham on his debut and has made three further appearances for the Dons since then. Following a Football Disciplinary Commission hearing, the League Two club was also given a £5,000 fine, which has been suspended for a year. They must also pay the costs of the hearing. The deduction means Neal Ardley's side drop from 14th to 18th in the table, but they are not in danger of being relegated. 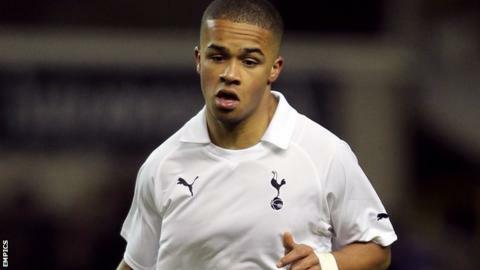 Nicholson began his career at Tottenham, where he made one first-team appearance. He had a short spell at Morton after being released by Spurs last year.